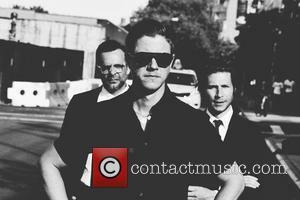 Rockers Interpol are no longer searching for a full-time bassist because frontman Paul Banks has taken on the role. Bassist and founding member Carlos Dengler left the group in 2010 shortly after they completed their fourth record and his replacement Dave Pajo quit after a year. 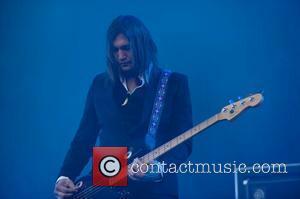 Brad Traux has been playing bass during live shows but the band is not looking for a permanent replacement because Banks has taken on the instrument for their upcoming fifth album. 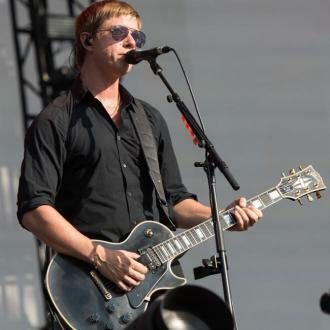 Guitarist Daniel Kessler tells Britain's The Sun newspaper, "We didn't have a discussion about what we were going to do... Then after the second rehearsal Paul was like, 'Maybe I should pick up the bass', cos it helps to anchor the songs... I was like, 'cool', and that was the first time we spoke about what we were going to do about the bass parts. "By the end of the second or third rehearsal we'd made an incredible start to a couple of new songs... Paul surprised me with how excellent he is on the bass... we just ran with it and didn't have any conversations about it... Once those foundations happened, we found our way and we thought, 'Why would we look to other possibilities when this is working so well?'" Banks admits they no longer talk to Dengler, telling Britain's The Guardian newspaper, "Yeah I call him an a**hole but I call my friends a**holes. I love Carlos, we all love Carlos. But I don't think he wants to see me." 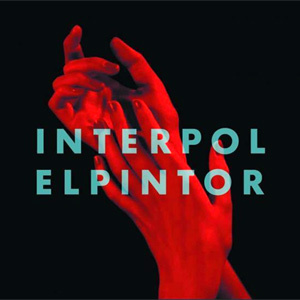 The band's fifth album, titled El Pintor, is scheduled for release on 9 September (14).